WASHINGTON - Internet activists declared victory over the nation’s big cable companies February 26, after the Federal Communications Commission voted to impose the toughest rules yet on broadband providers like Comcast, Verizon and AT&T to prevent them from creating paid fast lanes and slowing or blocking web traffic. The 3-2 vote ushered in a new era of government oversight for an industry that has seen relatively little. It represents the biggest regulatory shake-up to telecommunications providers in almost two decades. The new rules require that any company providing a broadband connection to your home or phone must act in the “public interest” and refrain from using “unjust or unreasonable” business practices. The goal is to prevent providers from striking deals with content providers like Google, Netflix or Twitter to move their data faster. 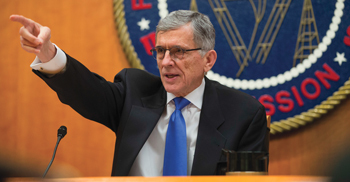 “Today is a red-letter today for Internet freedom,” said FCC Chairman Tom Wheeler, whose remarks at the Feb. 26 meeting frequently prompted applause by Internet activists in the audience. Verizon saw it differently, using the Twitter hashtag #ThrowbackThursday to draw attention to the FCC’s reliance on 1934 legislation to regulate the Internet. For years, providers mostly agreed not to pick winners and losers among Web traffic because they didn’t want to encourage regulators to step in and because they said consumers demanded it. But that started to change around 2005, when YouTube came online and Netflix became increasingly popular. On-demand video began hogging bandwidth, and evidence surfaced that some providers were manipulating traffic without telling consumers. 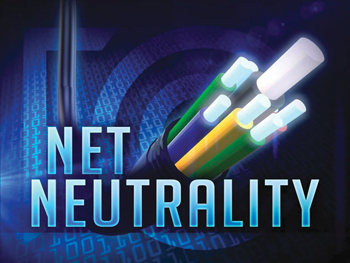 By 2010, the FCC enacted open Internet rules, but the agency’s legal approach was eventually struck down in the courts. The vote Thursday was intended by Wheeler to erase any legal ambiguity by no longer classifying the Internet as an “information service” but a “telecommunications service” subject to Title II of the 1934 Communications Act. That would dramatically expand regulators’ power over the industry and hold broadband providers to the higher standard of operating in the public interest. “Despite the cable industry’s best efforts to undermine our cause, we secured an open Internet, free from gatekeepers and corporate monopolies. We have an Internet for the people,” said David Segal, executive director of Demand Progress, a progressive Internet activism group. Industry officials and congressional Republicans fought bitterly to stave off the new regulations, which they said constitutes dangerous overreach and would eventually raise costs for consumers. The broadband industry was expected to sue. “With years of uncertainty and unintended consequences ahead of us, it falls to Congress to step in,” said Michael Powell, head of the National Cable and Telecommunications Association. GOP lawmakers said they would push for legislation, although it was unlikely Obama would sign such a bill. “Only action by Congress can fix the damage and uncertainty this FCC order has inflicted on the Internet,” Sen. John Thune, R-S.D., chairman of the Senate Commerce Committee, said in a statement. Complicating the issue is that not every broadband provider agrees on what should be done. Sprint, for example, has said it doesn’t think the new regulations would hurt investment. AT&T, however, supports the less stringent rules previously in place by the FCC but which were struck down in court. On Feb. 26, a senior company official said the FCC had gone too far and could cause irreversible harm. “Does anyone really think Washington needs yet another partisan fight? Particularly a fight around the Internet, one of the greatest engines of economic growth, investment, and innovation in history?” said Jim Cicconi, AT&T’s senior executive vice-president for external and legislative affairs. Also at stake was Obama’s goal of helping local governments build their own fast, cheap broadband. Chattanooga, Tennessee, and Wilson, North Carolina, have filed petitions with the agency to help override state laws that restrict them from expanding their broadband service to neighboring towns. The FCC was considered likely to approve these petitions, which could set a precedent for other communities that want to do the same.